Off late, CryptoCurrency has been capturing the headlines in the financial market. If we talk of the Indian market, the Union Budget 2018 declared CryptoCurrency illegal. With increasing penetration of Bitcoin (one of the earliest Crypto Currencies conceptualized), the question now has shifted to – Will these currencies eventually supplement convention currencies? Are these currencies a passing obsession that could eventually die out before taking off? We, at ORO, believe it would be right to educate our investors with the basics of CryptoCurrency and how it could change the financial landscape over time. Before we delve deeper into CryptoCurrency, let us quickly touch upon the background of CryptoCurrency. In simpler terms, it is a digital currency that is created and managed using encryption techniques such as cryptography. It came into reality in 2009 though it found the academic reference for many decades now. The concept has inspired many entrepreneurs the world over who have walked an extra mile to form a start-up focused on the technology and offering infrastructure for trading, mining activities required for such currencies. Increasingly these currencies are finding its place in household discussion over the dinner table. We, at ORO, believe that the market created by entrepreneurs in the domain of CryptoCurrency look exciting, scary, and mysterious all at the same time. 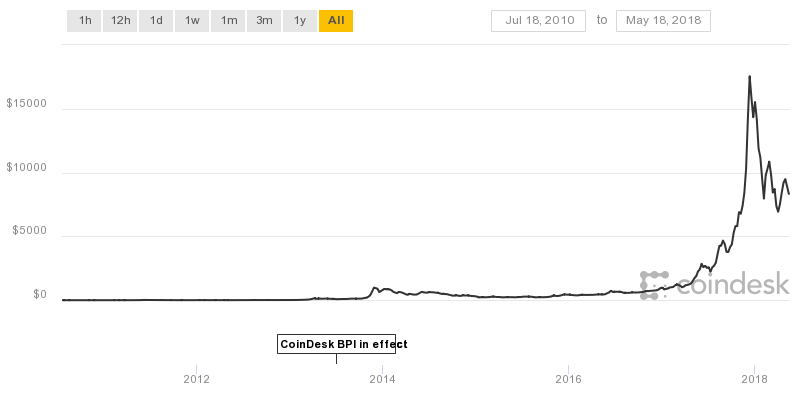 For example, Bitcoin surged from Rs 0 in 2009 to Rs 1.3 million on December 15, 2018 (less than 10 years since inception) only to steeply decline to Rs 0.6 million as on May 5, 2018. Irreversible – Once the confirmation is received, a transaction can’t be reversed. It is very similar to a transaction in equity market where once the broker executes an order it cannot be reversed. Fast and global – Transactions are propagated instantly in the network with confirmation in a couple of minutes. Given the transaction happens with a network of computers, your physical location holds no importance. No permission required – CryptoCurrency works with software that can be installed freely. An individual can start to transact in CryptoCurrency once he/she has downloaded the requisite software. There is no permission required and there are no gatekeepers. Secure – The funds are locked in a public key cryptography system. Only the owner of the key can access the currency. The big number sequence makes it nearly impossible to break the scheme. No real world connect – like in the case of mutual funds or bank account, an individual gets an account statement detailing the transactions and he/she has a folio number which is a unique identifier defining an individual, there is no such provision in CryptoCurrency. While you may be able to track the transactions flow but it is difficult to connect with the identity of the real world with those long addresses. How to get involved while reducing risk? Millennials are the first generation that grew up with technology at fingertips. However, when it comes to investing, one cannot deny the fact that investing money in technology is in its infancy. CryptoCurrency has witnessed wild volatility in the past and this provides adequate reasons for skepticism. Should you wish to invest in such currencies you should ideally start with the “fun-money” in limited quantity that would not impact your financial health. We believe an individual should not do anything blindly when it comes to new investment instrument and should ideally read and understand the instrument. We believe the concept of CryptoCurrency is here to stay and it could displace over a sizeable chunk of the global economy in a decades time due to its rising acceptance, increasing adaptability, etc. Given the fact that CryptoCurrency is not tied to any economy or its central bank, it could be a big disruptor over the years but only with regulations and guidelines. Without a regulatory framework, there could be a possibility of entering into a financial ecosystem of no discipline and control that could make an economy unstable. Thus, it would be too premature to conclude on the fate of CryptoCurrency.